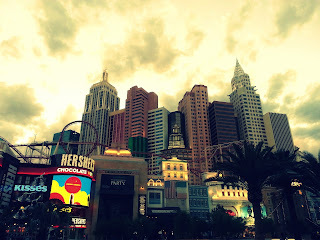 Outgoing postcard US-3263779 to Germany shows New York-New York Hotel & Casino with its architecture resembling the New York City skyline that includes the Empire State Building and the Chrysler Building. It is known for the 150-foot or 46-meter tall replica of the Statue of Liberty, whose face not only made into a USPS Forever stamp, but also landed USPS with a copyright infringement lawsuit. There is also another replica of the Statue of Liberty made of thousands of jelly beans in front of "It's Sugar" candy store on the second floor. Shown predominantly on the lower-left part of the card, the Hershey’s Chocolate World store opened one year ago on June 3, 2014. 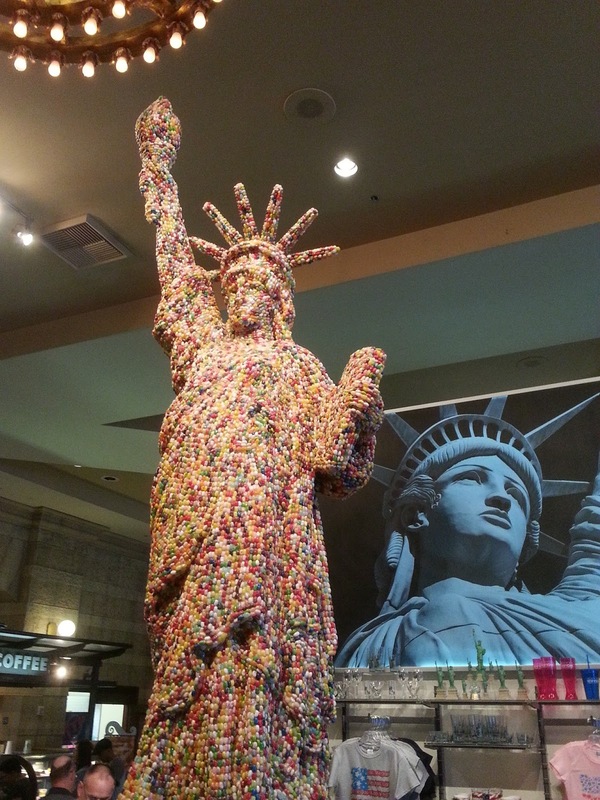 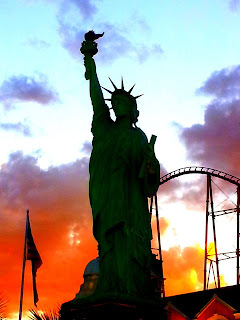 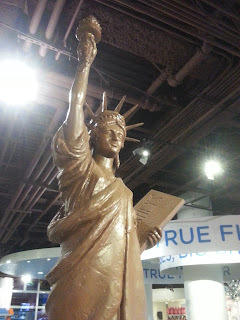 It added yet one more 11-foot, 800-pound replica of the Statue of Liberty hand carved from milk chocolates. 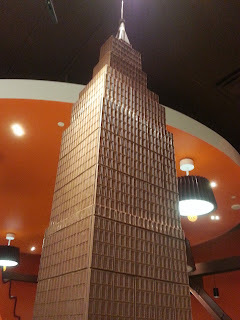 Among other things, Hershey's also features a replica of the Empire State Building, made out of 1,800 Hershey’s Milk Chocolate bars, on the second floor.